Many thanks, this is full of interest as usual. The low energy nuclear reaction depends on the choice of m, in other words on the m space inside the nucleus, so the conditions for the reaction can be engineered if the m space can be engineered to overcome the Coulombic repulsion or Coulomb barrier between a positively charged nucleus and a proton in an E Cat. 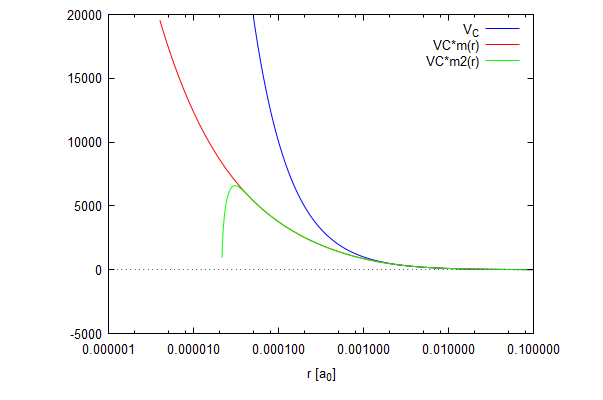 It would be very interesting to simulate the LENR by computer by finding the optimal m(r) for the reaction, this would be the m(r) that overcomes the Coulomb barrier and replaces it by a negative or attractive force that pulls the proton into the nickel nucleus. The combined nickel / proton entity is unstable and breaks apart with release of binding energy – very large amounts of heat and intense visible radiation. The catalyzer for the reaction is the m space itself. This entry was posted on February 10, 2019 at 5:46 am and is filed under asott2. You can follow any responses to this entry through the RSS 2.0 feed. Both comments and pings are currently closed.